Removed unused and empty space to Dark Cave, Secret Hideout (dungeons/dark-cave/hidden-cave) and updated staircase exit and entrance coordinates in the linked map Dark Cave, Ogre Cavern (dungeons/dark-cave/ogre-cave). Fixed a few nonexistant river archetypes in dark-cave. Remove obsolete attributes 'no_pretext' and 'walk_on'. Correct typo (Tome -> Tomb) in the map name for Dark Cave, Dwarven Tomb (dungeons/dark-cave/dark-cave-2). 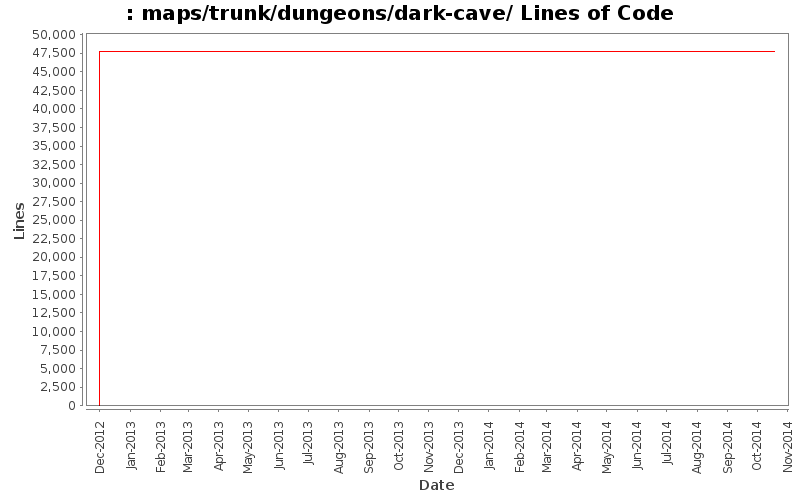 Removed forced line breaks in message text to Dark Cave (dungeons/dark-cave/*) maps. Update Dark Cave maps (dungeons/dark-cave/*) to give them unique names. No functional changes. Additional spike wall section between gates and castle walls to dark-cave-2 (dungeons/dark-cave/dark-cave-2) map. Cosmetic change only, no functional changes. Cave wall touch up and changes to Dark Cave (dungeons/dark-cave/*) maps. Cosmetic change only, no functional changes. Added wilderness region setting to Dark Cave maps. Patch# 348707, Dark Cave map set and world map changes for the new maps. Giant Leader and Giant Chief archetypes checked in with archetype r13382. Patch courtesy of Jesse F. Hughes.